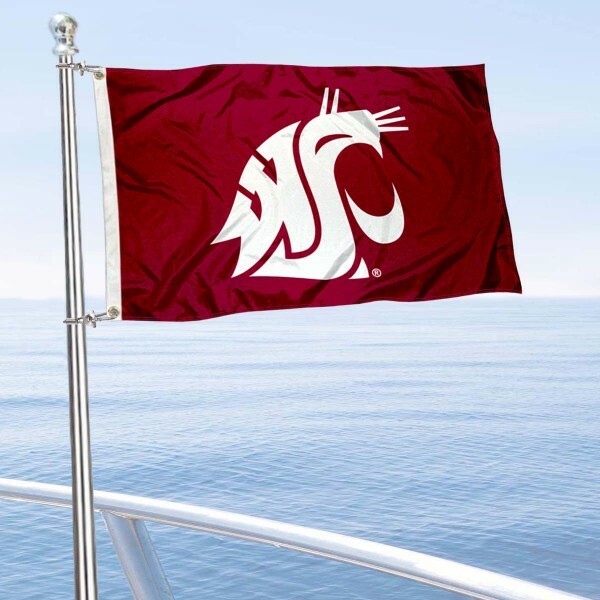 Our Washington State Cougars Boat Flag is made of durable 2-ply polyester, measures 12x18 inches, has quadruple stitched fly-ends, and has two heavy duty metal grommets for attaching to your boat mast, pontoon frame, or boat pole. The college logos are screen printed into the Washington State Cougars Boat Flag so they remain colorfast and resist fading. Since this flag is double layer constructed, our Washington State Cougars Boat Flag is viewable and readable correctly on both sides.